What are the best film versions of Charles Dickens’ classic tale A Christmas Carol? Movies have used this wonderful story of redemption countless times. But which Scrooge is the best? I’m about to WOW you. Oh yes, Top 10 Films readers, little did I know that Charles Dickens’ classic tale A Christmas Carol was given a cinematic outing more than a handful of times. When I was tasked to complete a list of the top ten A Christmas Carol film versions I asked: But there’s only about four! What an ignorant fool I was. Sure enough I got a smack bottom from my Mum. So, over the last two weeks I have sat on my sofa – alone as usual – with the DVDs of more than twenty-five feature and short film versions of A Christmas Carol. There are some good, there are some bad, there are some that would make Charles Dickens want to emerge from the grave a wrap the little filmmakers on the knuckles for creating such monstrous bastardisations of his Christmas classic, but on the whole there’s plenty of enjoyment to be had in the various ways writers and directors have tackled the story. From comedy to musical to musical comedy. From animation to live action puppets to live action animation. If you add up the films, the radio productions, the television shows, the stage plays, Scrooge has appeared in more than two-hundred adaptations. Most stay faithful to the novella but some take innovative and intriguing diversions such as the self-explanatory TV movie An All Dogs Christmas Carol and a brilliant episode of sci-fi adventure Quantum Leap when the hologram played by Dean Stockwell shows himself as the Ghost of Christmas Future. Often, the best films have steered close to Dickens’ story, and I found that my favourites followed the original story’s structure faithfully. Little did I know that one film – a modern update on the story featuring one of my favourite actors – was going to stand out as the most entertaining of my two weeks with Scrooge. This is the top 10 film versions of Charles Dickens’ A Christmas Carol. The earliest known screen outing for Ebeneezer Scrooge is in this British-made silent film from 1901. Not much of the film survives. I had to bribe my way into the British Film Institute to view the 620 feet of remaining footage. Another British film, this one directed by Henry Thomas, sees Seymour Hicks play Ebenezer Scrooge. 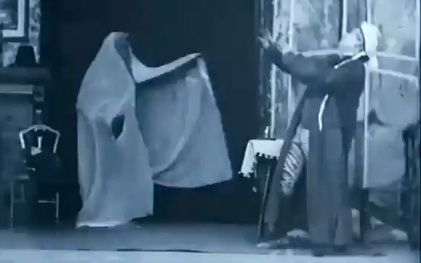 The film gets past 1930s special-effect limitations by presenting the ghosts simply as ethereal voices. This was the first outing in sound for Mr Scrooge. Either that or I forgot to turn my speakers on for the films made between 1901 and 1935. We seem to be moving through these chronologically. Not on purpose I must add, and not because I’m prejudiced towards the more modern fare, but because they are improving with quality as we go. 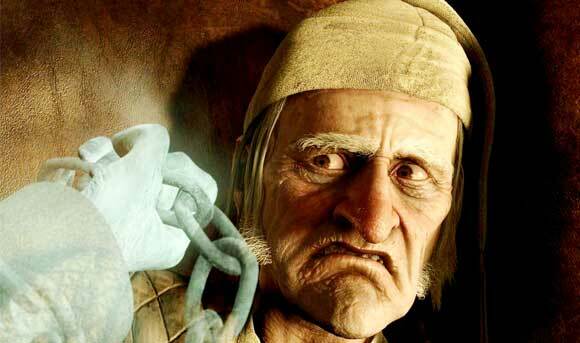 This is Italian filmmaker Filippo Walter Ratti’s attempt to bring Scrooge into the modern era, losing the name Ebenezer in favour of greedy old man Antonio Trabbi. You can see influences of this film in Richard Donner’s 1980s update Scrooged. One of the most recent films about A Christmas Carol is actually called, believe it or not, A Christmas Carol! 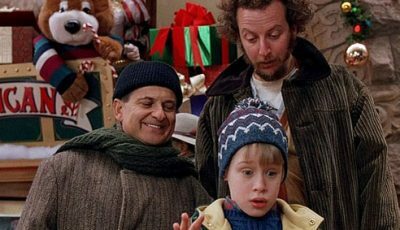 The great man Robert Zemeckis (great because he conceived, wrote and directed the greatest film ever made Back To The Future) uses motion capture and the allure of 3D to bring the tale of Scrooge to life. 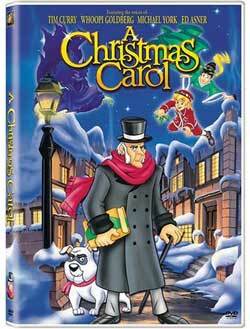 Jim Carrey plays Mr Scrooge himself and does a fine job. The 3D, as is the case with ALL 3D feature films, is completely pointless. 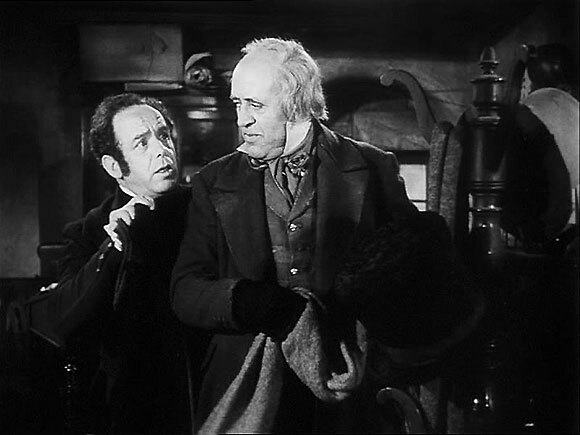 Scrooge gets an American accent in 1938’s A Christmas Carol. Reginald Owen plays Ebenezer Scrooge. This Disney traditionally animated feature film is a fun version of the story that stays true to the original tale. It is notable for the all-star voice cast including the brilliant Tim Curry as Ebezener and Whoopi Goldberg as the Ghost of Christmas Present. Ronald Neame’s hugely entertaining 1970 musical adaptation of A Christmas Carol received four Academy Award nominations. 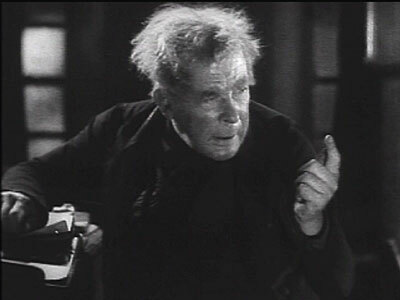 I loved seeing Albert Finney in the role of Scrooge and the great man Alec Guinness as Marley’s Ghost. 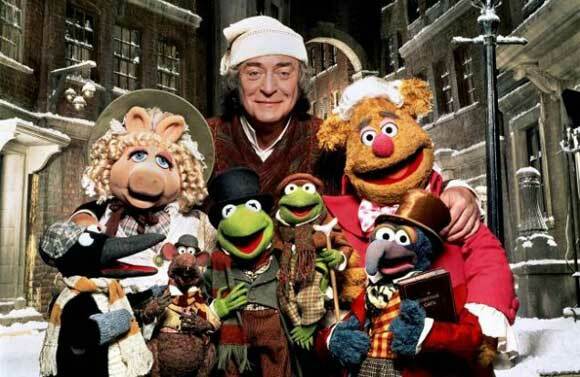 Another musical version of Charles Dickens’ story and a wonderfully endearing one with the Muppets playing the key roles alongside Michael Caine’s Ebenezer. 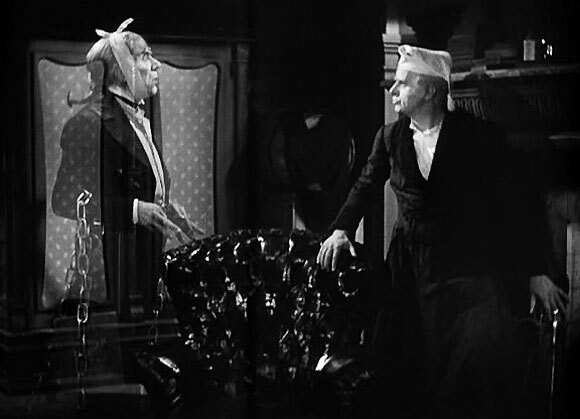 This film, with Alistair Sim in the role of Scrooge, didn’t garner much praise when it was first release. That’s a surprise as it is one of my favourite outings for the Man Who Hates Christmas. 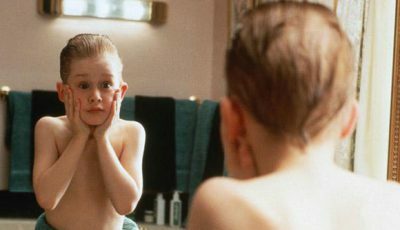 The film has since become a firm favourite both in the US and UK. 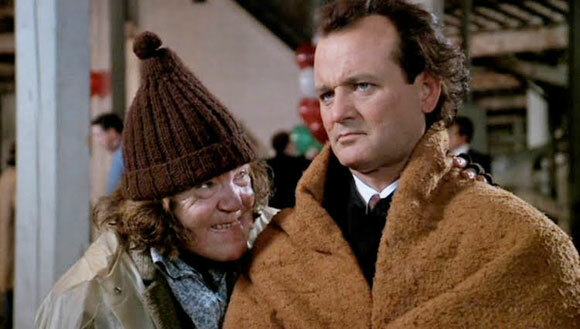 Scrooged mixes two of my favourite things – the 1980s and Bill Murray. Richard Donner’s modern update on Dickens’ tale is dark, funny, cynical and sentimental in equal measure. A real classic of the 1980s and my favourite version of A Christmas Carol. What is your favourite film version of Charles Dickens’ A Christmas Carol? While I don’t contend it’s the best version, I’ve always contended that George C. Scott is the best Scrooge and his 1984 Christmas Carol would likely be featured in any top 10 I did. Nice list and applause all around for sitting through them all. I’ve probably seen about 15ish of the adaptations. It’s a tradition in my family to watch the Sim version of Carol. Mom absolutely loves that film. Great list! I think I have to agree with you on #1. Bill Murray wins for me. any list that has scrooged on it works for me! 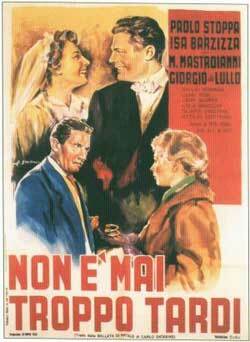 @Univarn: I did enjoy the George C. Scott version actually. Let us say it came 11th! Its my Mum’s favourite one. @Fitz: The Sim version is one of the most loved I think. @Bonjour: Bonjour, Scrooged a été un préféré mien pour très la longue période. Fun list, Rory. I know this may sound daft but I didn’t think there had been so many adaptations! The Muppets version has to be my favourite though I’ve never seen Scrooged. Hopefully I will soon! @Claire: You must watch Scrooged…and there’s no better time than this Christmas! Muppets is a fun film though. …Having watched all these, I now know the story up, down, back to front, and upside down. My favorite version has always been the musical, Scrooge, with Albert Finney. I love the classic tale in all it’s forms but musicals tend to add an emotional component via the songs that straight versions have trouble matching. Finney’s joyous dance when he realizes he’s alive and can change his fate brings tears to my eyes every time! I too think George C. Scott’s version deserves to be in the top 10 but you’ve found a few early ones that I’ve never even heard of! Merry Christmas everyone! God bless us, every one! What about the Patrick Stewart (Star Trek) version. I liked that one very much and their were a lot of special effects? The George C. Scott Version should be in the top 5. The Alastair Sim, George C Scott and Mickey Mouse versions are my all-time faves. I have all three on both tape and disc.